:: Just Listed Wanted Ads :: Landlord rental services! Don't miss out, take advantage of our Just Listed rentals wanted ads service! Hundreds of HOT LEADS at your finger tips! 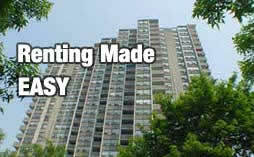 Our new, one of a kind Just Listed service will allow you to browse thru thousands of wanted rental ads in your area. Read posters comments and rental apartment and home requirements in detail. Use our advanced Just Listed search engine to find the rentals wanted ads that match your criteria. When you have found the rental wanted ad that you wish to contact, simply select the contact link and the properties you wish to send information about. You may then send a personalized message to the rental wanted ad poster as well! Renters - want to post a Just Listed rental wanted ad? Click Here! "Wow Renters Hotline, your Just Listed service had a whole bunch of profiles of rental wanted ads for me to search thru!" "Your Just Listed search engine allowed me to find a tenant for my apartment in only a few days!"